GameSpot has word that the next PlayerUnknown's Battlegrounds map is scheduled to be released before July. 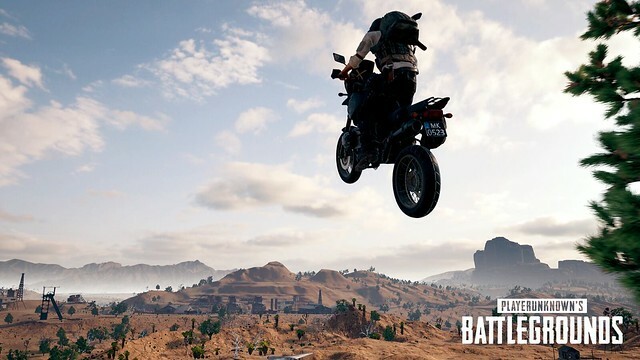 Although it isn't confirming specifics just yet, PlayerUnknown's Battlegrounds developer PUBG Corp. has talked a little about what's to come in the months ahead for the popular battle royale game. Among other things, a new map is in the works that should be out before July. As part of its latest development updated shared on Steam, PUBG Corp. explained that it had to delay "development of some of the major features and systems" in order to deal with the game's serious cheating issue. PUBG Corp. also said that because of "other reasons," it wasn't able to share PUBG's roadmap for 2018 as specific timing was changed. It now plans to share details on what's headed to game on PC from now through June as part of an announcement in March--including specifics regarding the next map. "We do have a lot of exciting things that we want to share with you, including new content to provide more extensive battle royale experiences as well as improvements and modifications to create a deeper and more realistic gameplay," it said. "In March, the team will reveal what you can expect from us in the first half of 2018 in terms of our development and new content plans which, by the way, include a new map. " Is the new map free, or paid DLC? This story makes me think it'll be free, but you never know. I've enjoyed the desert map, wonder what this one will be. Hopefully on Hoth or the moon or something. Everything is free in PUBG except for the paid cosmetic gambling crates.